If you are thinking of letting go of tradition cigarette or want to know about vapor mods or what is e cigarettes? and from where to buy them from, then you have come to the right place. First, you need to ask yourself, what is cigarette? without the ‘e’ before it. Cigarette smoking harms nearly every organ of the body, causes many diseases, and reduces the health of smoker in general. The day you quit smoking you will be craving to smoke and that’s when vapor mods will ease the unpleasant discomfort and help you quit tradition cigarettes. That’s what I have done to quit cigarette smoking and a strong mind set to quitting smoking. I have been smoking for more the 15 years and even tried to let go many times but jump back again and again. I heard about e cigarettes and asked myself what is e cigarettes? so I searched the web to find some info. At that time e cigarette was out of my reach due to international payments and shipping cost. Then one day I got a new job, new bank account which could do international banking and with free shipping which helped me buy my first e cigarette. It’s been 4 years now I have not touched a tradition cigarette and if I smell one I can’t stand the smell of it that’s how my body reacts to it. The changes you will notice after a year or two is your lips turn to pink and your gums too, smoke-free breath, also the index finger nail stained caused by tobacco tar will disappear after some time and yes most important you will feel good. What is e cigarettes?, what is e liquid?, what is in e juice? 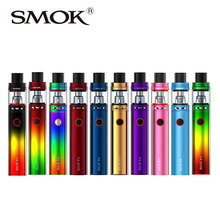 pros and cons of e cigarettes?, e cigarette reviews?, e cigarettes and nicotine, what is the best e liquid on the market?, these are some of the questions you will ask if you are new to this gadget, I will explain each question in different posts in the future, for now, starting with What is e cigarettes? There are many types of e cigarettes available online, for example, the picture shown are basic two e cigarette which is identical but given different terms. It could be at times difficult to understand. In the picture a cartridge where a e liquid is stored, atomizer coil in a V shape metal tip where the tip of the V shape is dipped into the e liquid, when power is applied by sucking out air of the cartridge or cartomizer the V shape metal becomes red hot to heat the e liquid into vapor. The cartomizer is the combination of a cartridge and atomizer. Knowing the different part of the e cigarettes is important to get the best out of your vapor mod requirement. Like you would want to know which battery is better (replaceable or not)? or Whats the e liquid capacity? or Does it do mega vapor clouds? or should it be portable?. The main parts of e cigarettes are the ATOMIZER COIL with the e liquid container and BATTERY with a metal/plastic body. Atomizer Coil with silica wick or cotton or polyfill soaked e liquid are placed in different metal/plastic bodies call Cartomizer, Clearomizer and Glassomizer, they all do the same thing with different design and improvement in e liquid vaporizing. Choosing one from the above gives you a different result of vapor performance and also vary in maintenance of the e cigarette. Batteries are placed in different metal/plastic bodies call MODS and APVS. MODS are used in small powered e cigarettes which have a high-resistance atomizer coil to profound “throat hit”. The higher the resistance, the lower the amount of current used from the battery. Resistance is measured in ohms. MODS do not have variable voltage and variable wattage unless a modified variant. APVS (ADVANCED PERSONAL VAPORIZERS) have variable voltage, variable wattage, atomizer coil ohms value reading, battery life information and most of the time have a LCD screen to show information. They are usually used in low-resistance atomizer coils which require a lot of battery power to produce mega vapor clouds. If you are new to e cigarettes, it is better to buy a kit instead of buying different parts of the e cigarettes separately. In my future post, I will be explaining in advance on every part of the e cigarettes and e liquids combine to help you decide which will work for you. For now, kick the butts and start vaping. Hope this post answered the question What is e cigarettes? See you soon, don’t forget to get back, to check my future posts. VaporDNA Lots of e cigarettes, e liquid and accessories. Shop VapeSourcing now for up to 60% off promotional items! 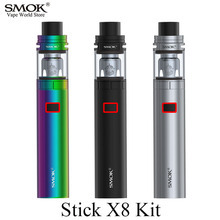 21% off for the newest SMOK TFV12! If you have any comments or questions please post them below. Thank you for reading my post, hope I was of some help to you. See you soon. Tags: Cigarette smoking, e cigarette, e liquid, vapor, vapor mods, What is e cigarettes? In your personal story I read you smoked a lot, well, I did too but stopped some 2 years ago. I would like to give you 2 tips if you have sensitive gums. In the morning before breakfast take a medium size spoon full of virgin coconut oil and keep it in your mouth for at least 10 up to 20 min. Spit it out and rinse your mouth with water. In my bathroom, I have a glass of water with a spoon of Himalayan salt. After I brush my teeth I take a small sip and keep it in my mouth also for some 10 min, then rinse with water. By doing these 2 things I have completely eliminated my gum problems. Thank you Taetske for reading my post…and yes I will try to do the tips you mentioned…Thank you again. I have been smoking more than 35 years now and it’s probably time to stop. I will look into these e cigs you mentioned and thank you for sharing. Very educational post. I’m not a smoker, but I see vape stores popping up everywhere. When I hear the radio commercials it sounds like they are speaking another language with all the parts and machines, different flavors, etc. This article shined some light on all this for me. Congrats on quiting smoking by the way! Such a good article introducing e-cigarettes & congratulations on successfully quitting the smoking habit. I wonder though… will a person gets dependent on e-cigarettes, the same way as traditional cigarettes? I’ve tried e-cigarettes. They didn’t work for me. Thanks for sharing this as I wasn’t sure what I was doing wrong. I definitely did not give it that much thought and effort; meaning when I knew I ‘wasn’t feeling’ the e-cigarette when I tried it, I just gave up on it. With the information from this post, I will give e-cigarettes a try again. Hello honestly I heard about ecigerette too but I did not know what it was until now that I learnt. I am happy that I know what it is and some of my friends who are trying to quit, I can now point them to the right direction. Thank you for sharing. I quit a few years back using the e cigarettes. I love how you can get different flavours. The menthol and caramel cartridges are my favorite. Make sure you have a few though as if you lose one or the battery goes when you are out on the town its a pain. Good information here. I started trying to stop smoking with the old e-cigs back in 2011 and all it did was frustrate me. I tried to get a liquid that replicated a real cig because I thought that would satisfy my crave and I thought it was silly to vape some desert flavor. I was vaping 24 mg nic level. I would burn through atomizers every other day and continued to smoke inbetween vaping. Eventually I gave up. At the time there were some stores that were vape speciffic starting to pop up. It took me a few months to finally walk into a store and buy my first mec-mod. I still have it and still twist up my own coils for fun from time to time. I have been smoke free since Nov 22 2013. As technology advanced they came out with the first rebuildable tank atomizer “RTA” that was a game changer but still didn’t quite satisfy as well as using the mech-mod with a rebuildable drip atomizer “RDA”. Then the birth of the SUB OHM tanks. Now that really made a world of difference. With the technology of the mods and tanks of today along with quality liquids, anyone can find something that will work for them to stop smoking and have satisfaction from a quality vape. There are two options when it comes to vaping. Mouth to lung like smoking a cig, and direct to lung. For myself, I needed the direct to lung to get the sensation of my lungs being full. Others prefer to draw to their mouth then inhail. If you are new to vaping or considering trying vaping, spend some time reading what Carl wrote on each article, it will help you understand your options so you can make an educated decision.